All of our automotive Wireless DVD headphones are custom manufactured to provide superior quality, comfort, and convenience. We take your investment in enhancing in-vehicle entertainment experience for yourself and your family seriously, and we want to ensure it's worthwhile and provides continuing value. Our durable headsets are designed to fit the wearer and prevent breakage. We don't think you should need to buy foam replacement pads for your headphones! 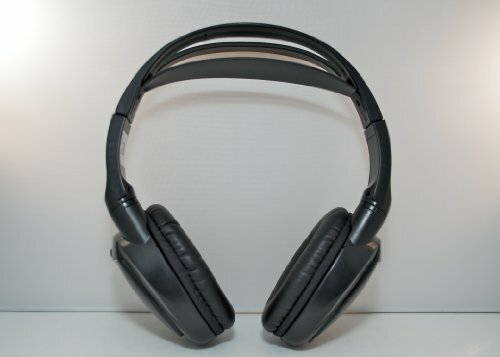 MusicFirstHQ headphones fold for easy storage, and include an "auto-off" feature to conserve batteries. Dual channel capability allows easy "linking" to more than one DVD unit. Free Shipping. 30 day money back guarantee. Batteries Included. If you have any questions about this product by MusicFirstHQ, contact us by completing and submitting the form below. If you are looking for a specif part number, please include it with your message.